At dentalia, we know how important it is to take good care of your dentures, which is why we bring to you: 7 golden rules for looking after your dentures. As the largest chain of dental care in Mexico, at dentalia we are committed to providing you with vital information about your dental health. Below is a list of common dental problems and ways to prevent them. Implants are a good long-term solution to replacing lost teeth, but they’re often not cheap. However, with dentalia you could save up to 70% by getting your dental implants in Mexico. 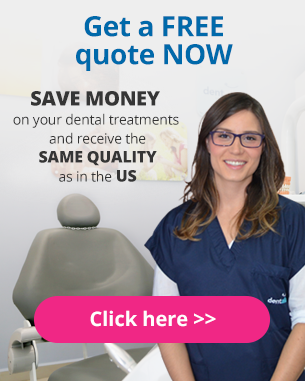 How much money can dental tourism help you save? Scheduling a root canal or dental implants on vacation might seem odd but more and more Americans are making appointments with a dentist in Mexico. The trend’s been dubbed “dental tourism”. More than 500,000 Americans travelled out of the country for dental care in Mexico and elsewhere in 2013.